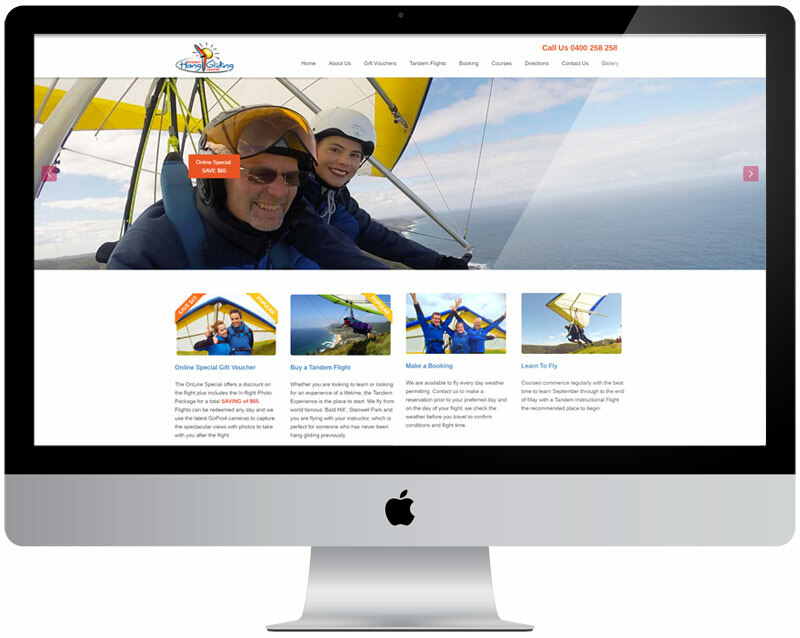 Celebrating over 30 YEARS of safe operation, the Sydney Hang Gliding Centre (formerly Aerial Technics) was established in 1982 and is Sydney’s first and only full-time hang gliding centre. More people have chosen to fly with us for several reasons. We have a perfect safety record, specialise in Hang Gliding and weather permitting, are available to take you flying everyday. Using the WordPress platform we created a very interesting system for them, allowing them to populate the data herself and then have them show as a responsive template.